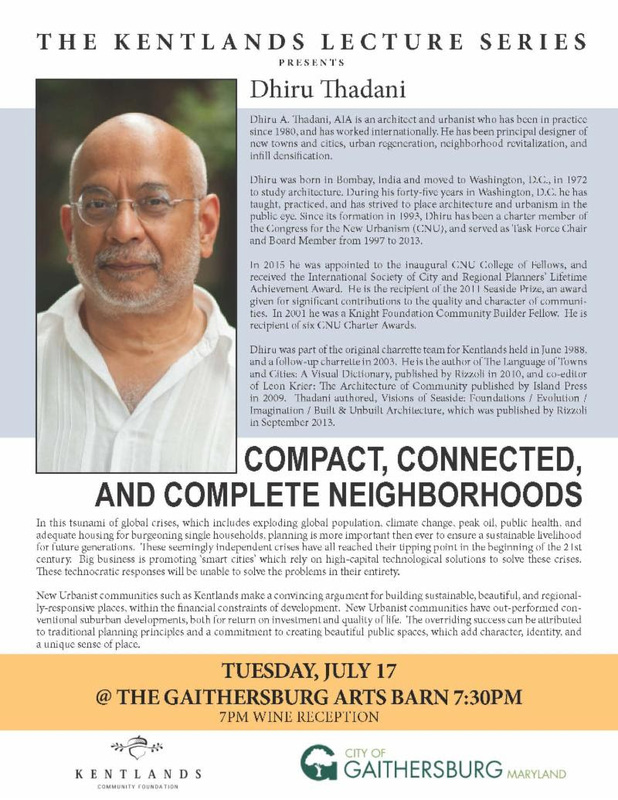 Architect and urbanist Dhiru Thadani will be the featured speaker at the next session of the Kentlands Lecture Series on Tuesday, July 17, 2018 at the Gaithersburg Arts Barn in Kentlands. There will be a wine reception at 7 p.m. and the lecture is scheduled at 7:30 p.m. The topic is Compact, Connected and Complete Neighborhoods. Thanks for sharing the Kentlands lecture series with us - are you going on the 17th? Good morning Roy. This sound like a worthwhile lecture to attend. It should be very interesting and educational. Good morning Roy. Sounds like time well spent! Please update us after the event. Enjoy your day! SOunds like something I would like to attend if I were there! A lecture and wine. Will you and Dolores be there? This is a link that you may wish to share. Alert Gaithersburg is a notification system that can immediately contact subscribers during an emergency or relay time-sensitive weather, traffic and public safety information. It delivers important emergency alerts, notifications and updates to several electronic devices simultaneously, including multiple e-mail accounts (work, home, etc.) and cell phones.